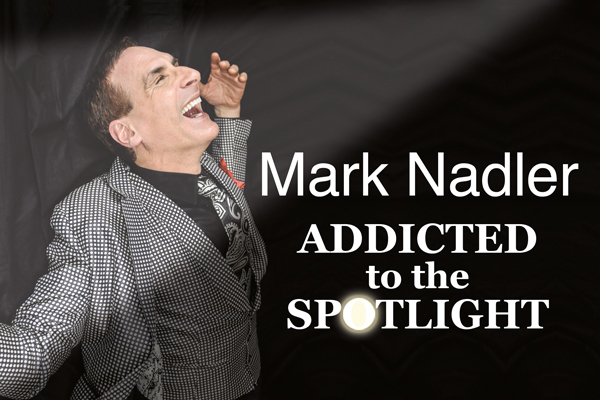 "Addicted to the Spotlight" is Mark Nadler's tour de force account of a lifetime in show business. In it he interweaves stories from his over-four-decade career with songs and stories from two other entertainers who were serious spotlight addicts: Al Jolson and Danny Kaye. Songs include "Let Me Sing and I'm Happy", "Anywhere I Wander", "Ballin' the Jack" and, of course, "There's No Business Like Show Business". This is a show that will make you laugh, cry and ultimately cheer!